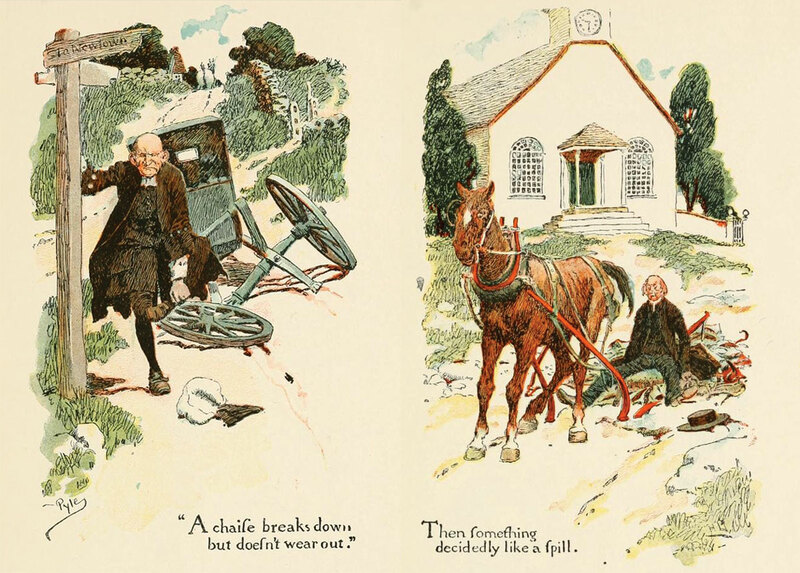 Two illustrations by American artist Howard Pyle (1853–1911), drawn for the 1892 edition of The One-Hoss Shay, with Its Companion Poems and reissued in color in 1905. Everything changed in 1857 when James Russell Lowell, a fellow professor at Harvard, was hired as the editor of a new magazine, and he in turn insisted that his friend Holmes become one of its founding contributors. Initially hesitant, Holmes agreed and even suggested the magazine’s name, The Atlantic Monthly. Holmes then lit on the idea that would make him famous: reviving the Autocrat of the Breakfast-Table as a monthly column. Far more mature in style and content than the essays from a quarter-century earlier, each piece is written as a table conversation monopolized by the unnamed Autocrat, with interruptions (including poetry, stories, and jokes) from other residents—including the Professor, the Landlady’s Daughter, the Schoolmistress, the Poet, the Old Gentleman, the Divinity-Student, “the young fellow called John,” and others. The new and improved “Autocrat of the Breakfast-Table” appeared in the debut issue of The Atlantic (November 1857) and immediately became the most popular feature in a magazine that boasted works by such celebrities as Emerson, Whittier, and Longfellow. The first twelve installments were collected at the end of 1858 in book form, selling over 10,000 copies in three days and going through several printings and editions during the following decades. “The Wonderful One-Hoss Shay” is a perfectly intelligible conception, whatever material difficulties it presents. It is conceivable that a being of an order superior to humanity should so understand the conditions of matter that he could construct a machine which should go to pieces, if not into its constituent atoms, at a given moment of the future. The mind may take a certain pleasure in this picture of the impossible. The event follows as a logical consequence of the presupposed condition of things. There is a practical lesson to be got out of the story. Observation shows us in what point any particular mechanism is most likely to give way. In a wagon, for instance, the weak point is where the axle enters the hub or nave. When the wagon breaks down, three times out of four, I think, it is at this point that the accident occurs. The workman should see to it that this part should never give way; then find the next vulnerable place, and so on, until he arrives logically at the perfect result attained by the deacon. Notes: A few historical references are packed into the second verse of the poem. Georgius Secundus . . . from the German hive refers to King George II of England, who was of the German House of Hanover. Most of the city of Lisbon was destroyed by an earthquake on November 1, 1755. Earlier that year, on July 9, British forces commanded by Edward Braddock were ambushed by French and Canadian forces in Pennsylvania; over half were killed and Braddock himself was mortally wounded. 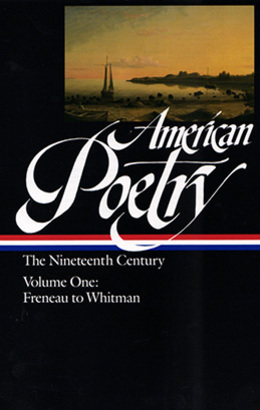 The third stanza mentions various parts of a horse-drawn chaise, including the felloe (rim of a wheel) and the thill (the shaft connecting to the horse).